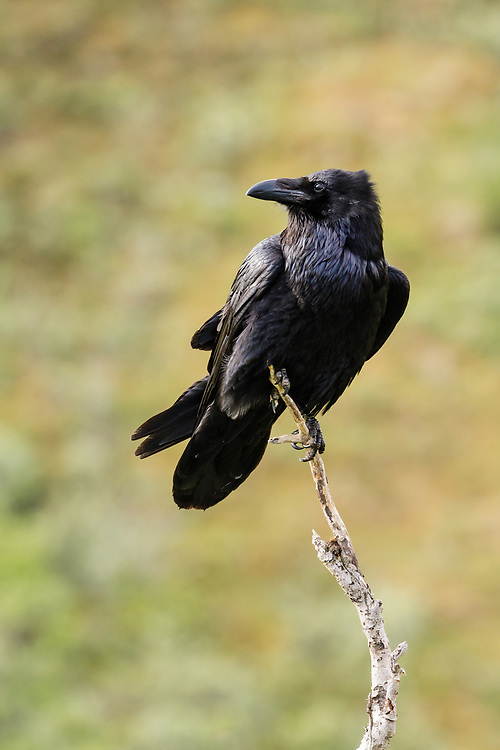 Common Raven (Corvus corax) perched on tree in Sable Pass in Denali National Park in Interior Alaska. Summer. Morning.